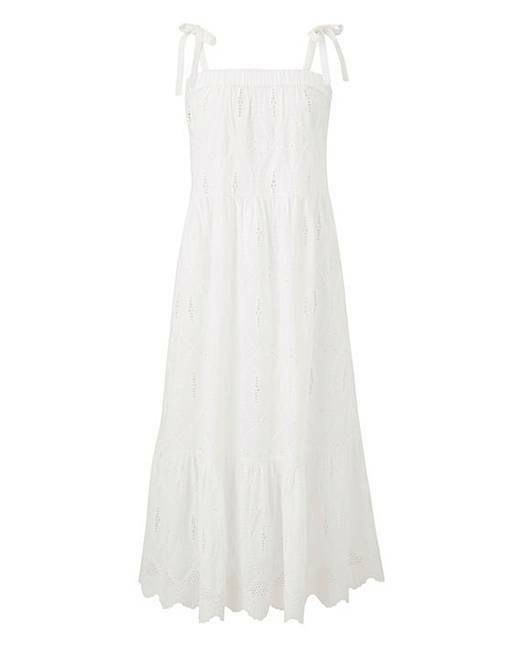 Stay on-trend with this beautiful Broderie Anglaise Maxi Beach Dress. 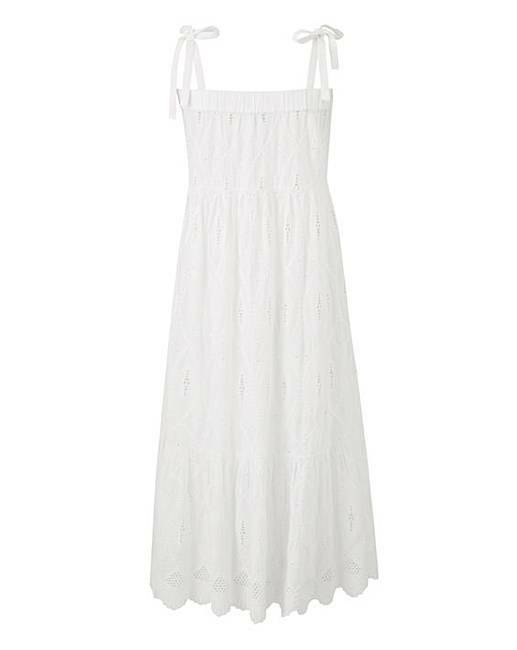 Featuring all-over embroidery detail and tie shoulder straps, this maxi dress allows you to alter the length to suit your style. Complete with cross back elastic, this dress has been designed with both comfort and style in mind.